A sample of deep tissue muscle. A gold watch. A sample of bone marrow. Some head hair. A maggot. And a tooth. Sharon Langan listed the items handed to her by the pathologist as he removed them from the body of Bobby Ryan. A garda with the Garda Technical Bureau, Ms Langan had travelled from a farm at Fawnagowan in Co Tipperary, where Mr Ryan's body was recovered from a tank, to Waterford Hospital to be present for the post-mortem. As Dr Khalid Jaber handed her each item, she placed each in a tamper-proof clear plastic bag, known as a tamper-evident bag. She labelled the bags S1 to S6, signed and dated them, and gave the exhibits to Garda Kieran Keane, she said. The items were to be delivered to forensic scientists for examination. Grim details such as these dominated in the sixth week of the trial at the Central Criminal Court of Patrick Quirke (50) for the murder of Bobby Ryan (52), a part-time DJ and truck driver. As usual, curious onlookers filed in and out of Court 13, often glancing at the accused, who on that day wore a grey suit, a blue shirt and red tie, a change from the blue spotted one. The prosecution's case is that Patrick Quirke, a farmer from Breanshamore, murdered Bobby Ryan because he was his 'love rival', between June 3, 2011, when he was last seen, and April 2013, when his body was found. He has pleaded not guilty to all charges. The court has heard how Mr Quirke had an affair with Mary Lowry after her husband, Martin, died. Their lives were already intertwined in that Patrick Quirke's wife, Imelda, is a sister of Ms Lowry's late husband. He also leased the widow's farm at Fawnagowan. Their affair ended in 2010 and Ms Lowry began seeing Bobby Ryan, aka the DJ Mr Moonlight. The prosecution claims Mr Quirke, intent on rekindling his affair with Ms Lowry, killed Bobby Ryan and dumped his body in a run-off tank on her farm. After Ms Lowry decided to end his lease, forcing him off her land, Mr Quirke staged the discovery of Mr Ryan's body, the prosecution claims. The court has heard Ms Lowry's account of the acrimonious end of her affair with Mr Quirke; how, having spent the night with her, Bobby Ryan left her home at 6.30am on June 3, 2011, and disappeared; how she found his van abandoned in nearby Kilshane Woods that same day. The court has also heard from Mr Ryan's children, his friends and relatives, and from others drawn into this case because of what they saw or heard. Last week the trial turned to technical evidence taken from the crime scene at Fawnagowan on April 30, 2013, when Patrick Quirke said he found the body in the run-off tank as he prepared to draw water from it to spread slurry. Mr Quirke's defence team repeatedly questioned gardai about their actions at the crime scene, including their note-taking, and about rubble that fell into the tank as they lifted its cracked concrete cover, before Mr Ryan's body was removed. Gda Langan recalled looking into the tank on the day Bobby Ryan's body was found. "I could see what I thought was a body lying face down in some water," she said. After his body was removed and placed on plastic sheeting, she noticed the body was "fairly decomposed, he had a gold watch on his wrist and there were no clothes". 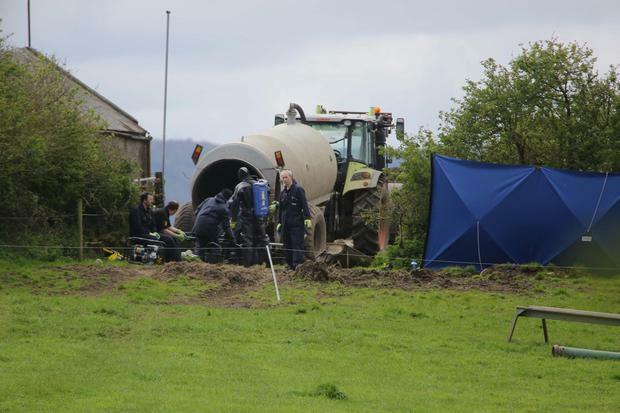 Although she could remember the concrete slab had cracked, as the digger removed it from the tank, she did not make a note of it at the time, the court heard. Was this not a "significant event", asked Lorcan Staines, defence counsel, as photographs of the broken slab appeared on the court's flat screen. "How is it you have no memory, when it must have been a significant event to see this slab shatter?" "No, I have no memory," she said. Should forensic teams have been on site before the body was removed, he asked? "Under normal circumstances, in other cases I have been to, pathologists would meet you at the scene," she said. Had she heard of the Europe Network of Forensic Science Institutes, he asked, before quoting "best practice" that a scene should be preserved until all experts are available and, failing that, the scene is properly recorded. "I would say in an ideal world all that would fall into place and, yes, that would be wonderful," she said. Mr Staines turned to the samples taken from Mr Ryan's body. Did she know why only one maggot was given to her when it was clear there were more? No, Ms Langan replied. The previous day, the court heard from Dr John Manlove, an entomologist. He was asked by gardai in 2014 to examine a single larva taken from the scene and photographs of Mr Ryan's body. Dr Manlove said he identified the insect as a "common blowfly". He cited an engineer's report which said the tank had been sealed by the two concrete slabs covering it. But he found larvae in the body's chest cavity and back, he told the court. The larvae were all at the same age of development, suggesting they had infested the body at the same time, at least 11 days before it was found. Dr Manlove's conclusion was that the tank containing Bobby Ryan's remains had been opened before his body was discovered. 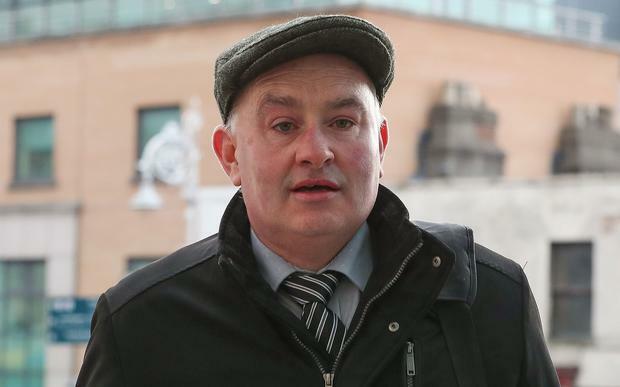 Patrick Quirke told gardai water from a leaking pipe had flowed into the tank for two days in 2013, his defence counsel said, and Dr Manlove agreed that if the water washed away the seal of dirt, flies could have got inside the tank. The court was told gardai recovered other items from the tank: bone fragments, buttons, cable ties... and a hair clip. Garda Gerard Canty, a scene of crime officer, photographed the items as they were recovered from the tank on the day that Bobby Ryan's body was found. Was he surprised a lady's hair clip had been found in the run off tank, Mr Staines asked? "I wasn't surprised and no one else expressed surprise to me either," said Garda Canty. Is there anything in your contemporaneous notes about a hair clip, asked Mr Staines. "No", he replied. Is there anything in your statement about a hair clip, asked Mr Staines? "No." Mr Staines held aloft the evidence bag. There was "quite a lot of material" in the bag, he said. "Cable ties, buttons, a hair clip, a lot of black material." The court was told the garda's exhibits chart noted the hair clip along with the other material in the bag but the chart given to Mr Quirke's defence team did not. Garda Canty later said he had nothing to do with retrieving, bagging, marking or charting the contents of the bag.